We are only three days away from Christmas. How did that happen?! I’ve been MIA this week because I’ve been baking, cooking and cleaning nonstop in preparation for the holidays. I did a big grocery run yesterday ahead of family getting into town. We have James’ parents arriving tonight, and my family gets here next week. We can’t wait to celebrate with everyone! Luckily, we have all of our gift shopping done and can spend the next week relaxing and enjoying time with family and friends. It’s the best way to end 2017! 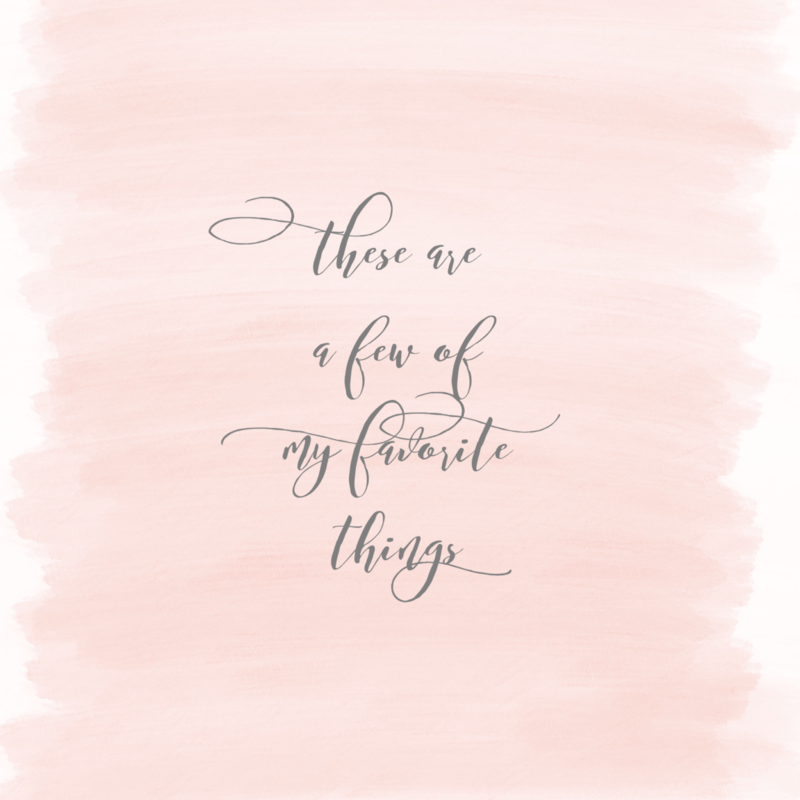 This weekly list of things I’m loving could go on forever this time of year. There are just so many fun things happening! I’d love to know what eats, reads and activities you’re digging this week. Chime in by posting a comment! 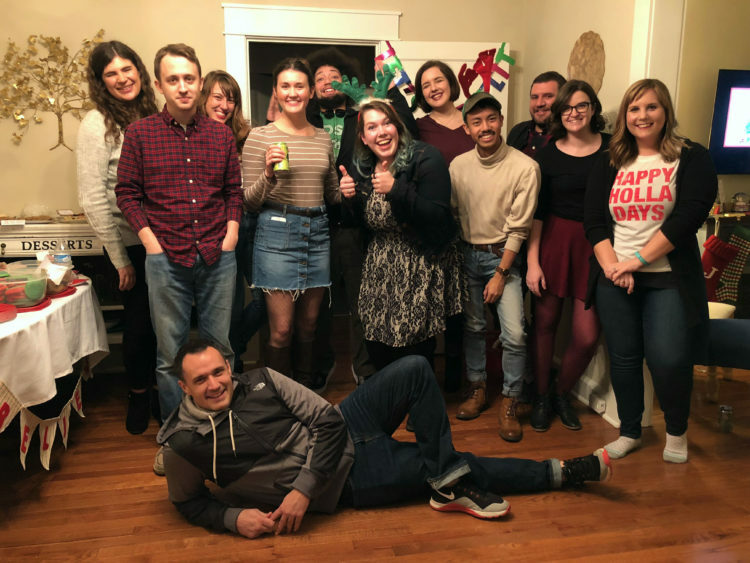 We hosted our favorite party of the year last weekend, and it was so much fun! A big group of our friends came over, bringing along either cookies or beer, and we spent the night being gluttons. There was a wide variety of cookies this year, and we had so many they took up two large tables. The crowd favorites were the molasses spice cookies our friend Mark made. He’s an amazing cook, so I’m not at all surprised. I think molasses and gingerbread cookies are my favorites of the holiday season. I made jam thumbprints, biscotti, almond cut-out cookies, bourbon balls, soft gingerbread cookies, cake batter chocolate chip cookies and peanut butter blossoms. I hoped to make a couple other varieties, but our food processor died last week. I’m crossing my fingers it can be fixed! We’ve been watching an episode of “The Crown” every night while eating dinner, and I think I love the second season even more than the first. I’ve always been fascinated by the royal family, and I find myself Googling people or events during every episode to find out more. Watching the show makes me long to visit London again. We only have one episode left, which means we’re going to need a new show to binge watch. I want suggestions! What shows are you loving? When we went to see The Secret Sisters in concert earlier this month, we were blown away by their opener. I’d never heard of Brian Dunne before, but I became a fan as soon as he started singing. His powerful voice, coupled with his beautifully-written lyrics, had me hooked. I’ve been listening to his album nonstop lately, and it keeps getting better every time. So many people I know head to concerts late to avoid watching the opener, but we take the opposite approach. We’ve discovered so many of our favorite musicians when they’ve opened for other acts we love! 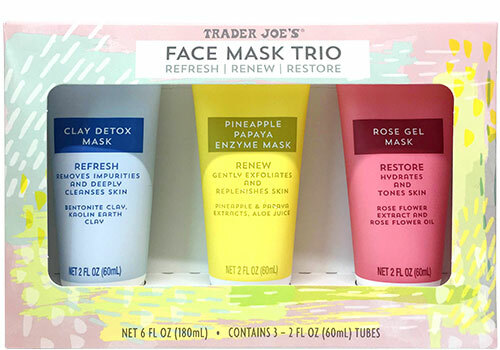 I picked this trio of face masks up during my last Trader Joe’s run, and I’m already regretting not snagging a few extras. I struggle with extremely dry skin in the winter, but using these face masks a couple of times a week is helping. I usually use one before bed, followed by my favorite moisturizer. My skin is definitely more smooth and less flakey.